Stunning, all-Brick 2-sty Home located on a 3+acre lot in Covered Bridge Estates! Quality craftsmanship in this custom-built home to incl. HDWD floors, Gorgeous Crown Moldings/Wood Work, Chef's Kitchen & New Unique Lighting Thruout. 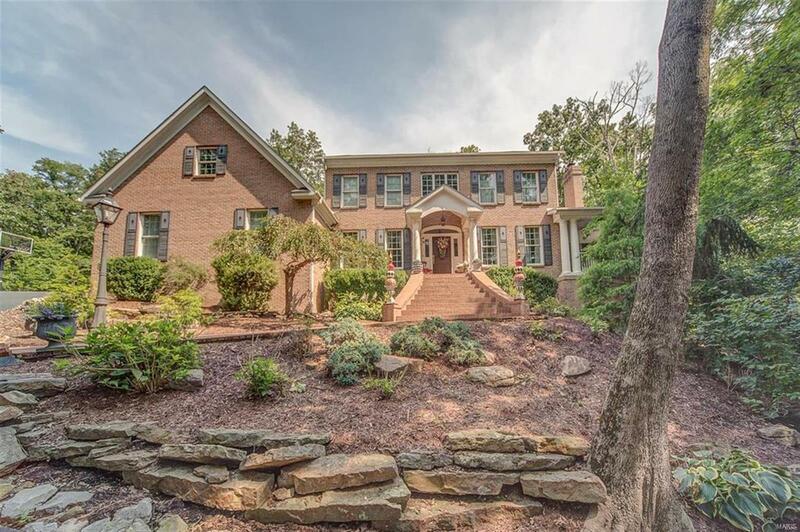 Open Floor plan offers formal Dining Rm, Office w/ French Doors that leads to lovely Covered Porch, Family Rm w/ Soaring Brick FP & 19' Wall of Windows Overlooking Back Patio/Wooded Lot. Custom Cabs & Granite Counters in Gourmet Kitchen; Mud Rm w/ Lockers & Laundry Rm w/ Butlers Pantry. Main Level Mstr Ste. is Vaulted & has Luxury Bath-His/Her Vanities, Whirlpool Tub & Antique Door to Private Commode. Upstairs you will find 4 Lg Bdrms; 2 w/ Jack & Jill Bath, 3rd has Private Bath. Lower Level features Family Rm w/ Gas FP, Wet Bar, Media Rm, Full Bath & Walks out to another Patio area. Some Unfinished Space for Storage too! OS, 2-Car, Side-load Garage w/ Plenty of Guest Pkg. Outbuilding for Workshop or Horses! Amenities-tennis courts, fishing pond & beach! !